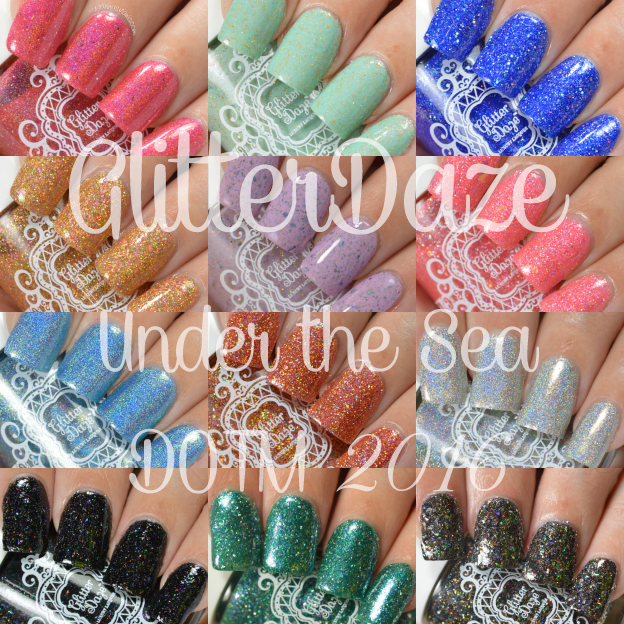 Here we are at the end of this years GlitterDaze DOTM theme; Under the Sea. I can't believe it! 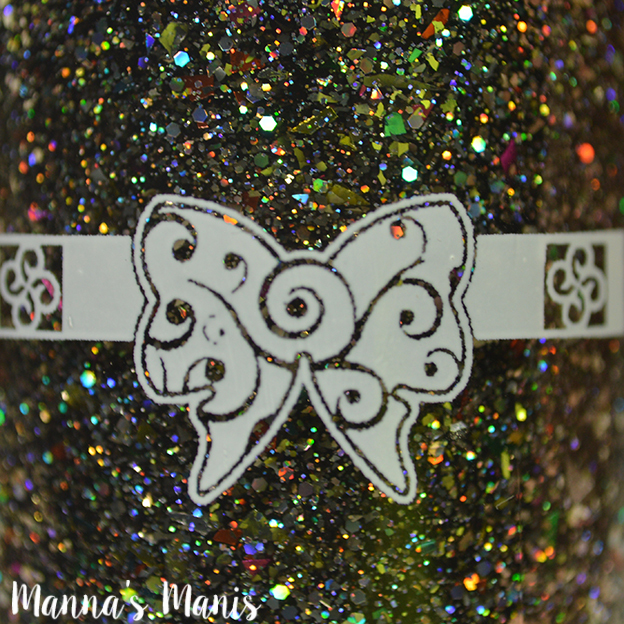 This years theme has been filled with so many beautiful polishes, and this last one is no exception! Seahorsing Around is described as being packed with holographic silver glitters and shimmers, platinum silver flakes and rainbow confetti glitter. 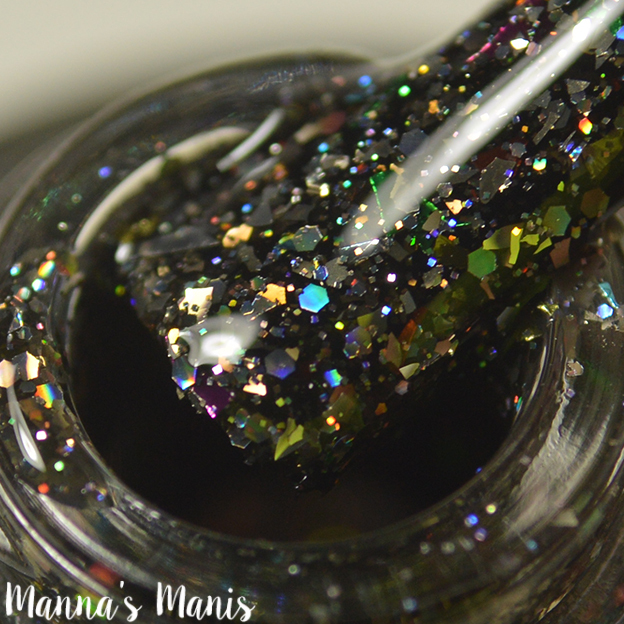 Since this is heavy on the glitter, some clumping on the brush and nail will occur. I applied 2 coats, 1 coat of top coat for pics, but you may need 2 coats. 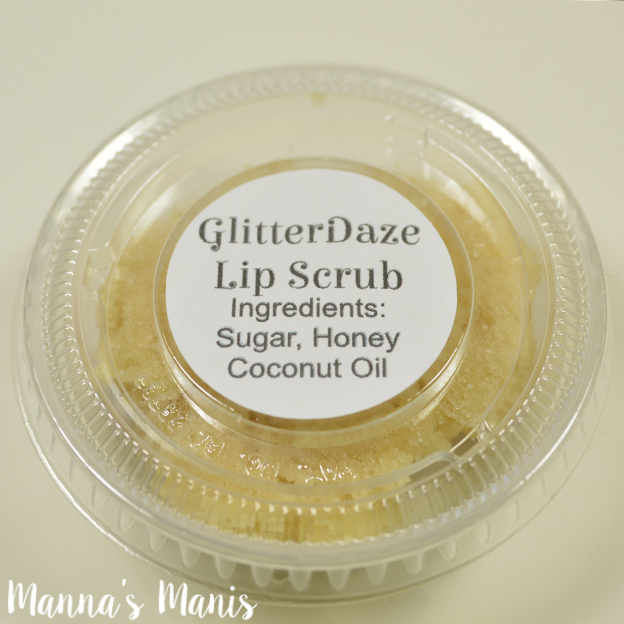 This months extra gift is a moisturizing lip scrub. Use 1-2 times a week for smooth lips. 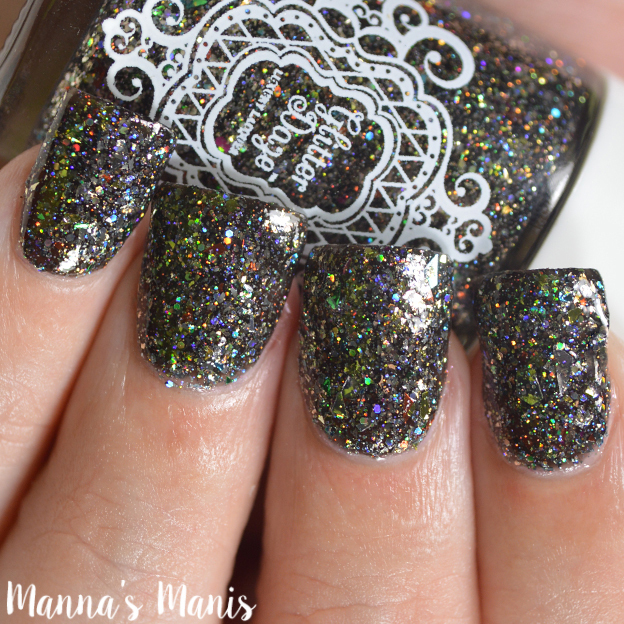 This polish is only available until the end of December!